Phase 2 of our new Chicago area laboratory in Mt. 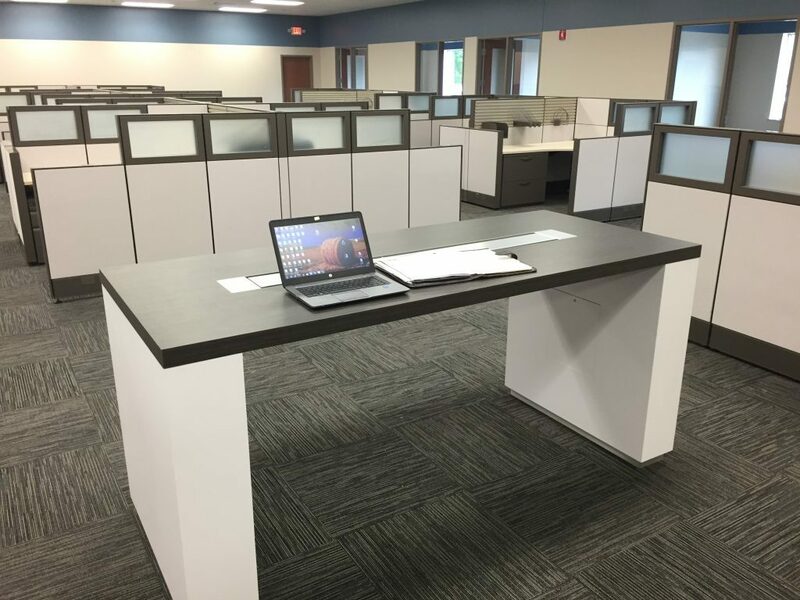 Prospect, IL is almost completed, with 6,500 square feet of office space being added. It will contain 11 rooms, 2 conference rooms, a customer lounge, kitchen and reception area. This new space will also house a large state-of-the-art control room for monitoring environmental and dynamics equipment. The video below shows progress from February to April in just over a minute! In the image below, you can see the newest additions to this area with open office space and a collaboration area for clients and NTS employees. Our current location in Palatine, IL is still fully operational during the move so don’t forget to send us your quote requests for test needs. EMC testing will be coming online at the new laboratory on September 6th, and our official grand opening will happen on October 6th. Stay tuned for more details!